Grandma Cochrane’s Homemade Pecan Sandies Recipe makes slightly sweet, cake-like cookies. They are rich from the figs and crunchy from the pecans! Scooped onto the baking sheet and baked to golden perfection, this recipe makes three dozen cookies. These are yummy dunked in milk and great with a cup of coffee! It had a lot to do with the wildfires that are raging in the foothills approaching Yosemite. The road we use to access Yosemite have been closed. We would have to drive an additional two hours one way to get to Yosemite Valley. Additionally the wildfires have made the air quality dangerous. Between that and realizing we weren’t as trained as we should be we decided to postpone the hike until next year. I’m disappointed because I had hoped to share great photos and maybe even a live feed, but… not this year! Instead, we’re going to grab some cookies and drown our sorrows. You hear what I’m saying? Even though we did not hike Half Dome, my folks still came down (they were going to be our cheering section after the hike). A busy week turned into a lazy visit, which was just lovely. Dan and Dad watched sports while Dad and I talked photography. Mom and I dug thru Grandma’s recipes and decided we HAD to make some cookies. Some sweets would make us feel better right? Mom’s Mom (my Grandma) was a Home Economics Professor. She traveled all over the United States sharing her knowledge and teaching curriculum. Her favorite recipes were always sweets! Grandma and Grandpa Cochrane lived in South Dakota and we lived in Oregon. I remember being surprised one day when we came home from school and they were at our house, we had no idea they were coming! It was right before Christmas and Grandma spent the week before making every cookie, fudge and cream puff recipe imagineable. Pretty sure that was one of the sweetest Christmas’s ever! chop the figs and the pecans, set aside. cream together the butter, egg and sugar. Add the vanilla and water, mix well. using a small ice cream scoop, drop by spoonfuls onto a greased cookie sheet. bake in the preheated oven until golden brown. Deliciously sweet from the figs and richness from the pecans these are a such a great cookie! Mom did her best to decipher Grandma’s handwriting. We improvised a bit because when we got to what we thought was the end, the cookies were way too crumbly to stay together. We updated Grandma’s recipe and added 1/2 cup of finely chopped figs, an egg and a pinch of salt. 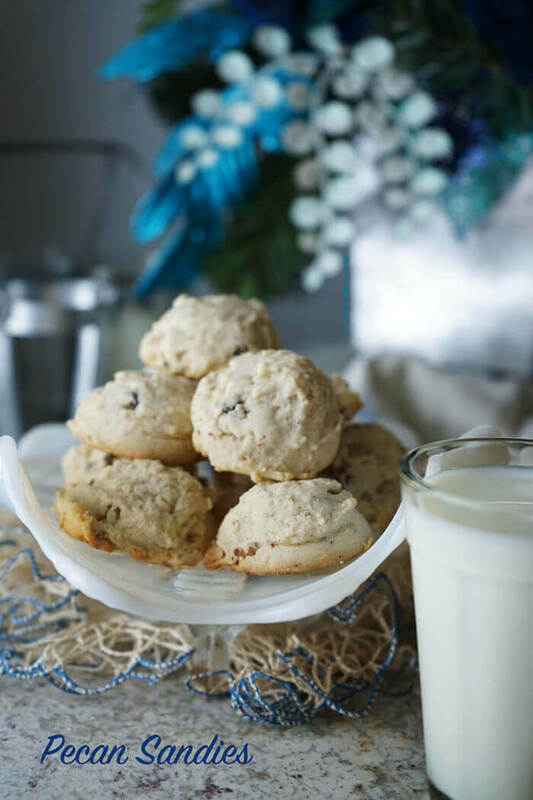 Pecan Sandies and a glass of milk – perfection! These cookies are slightly sweet, cake-like beauties with a richness and crunch from the pecans! Yummy to dunk in milk, great with a cup of coffee! I’m proud to share another great family recipe with you! I hope you enjoy this recipe and these cookies as much as we do, sipping with some Crock Pot Hot Chocolate. Would you like to try more tried and true family recipes? Here are some lovely treats to satisfy your sweet tooth. Persimmon Cookies – old fashioned Persimmon Cookies are sweet and delicious. Baked with spices, with nuts, cranberries and drizzled with white chocolate these are delicious! Grandma Bertha’s Butter Cookies – a family favorite these cookies are a sweet snack for the kids & delicious with coffee or tea! Pumpkin Chocolate Chip Cookies – only 4 ingredients! It will take you longer to preheat the oven than mix the dough. These are easy and fabulous! Chocolate Covered Cashews Recipe – salty cashews covered in delicious chocolate and melted peanut butter chips with a pinch of chili powder. A bit of canola oil gets the chocolate and peanut butter all melty and delicious. 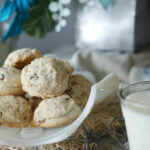 Old fashioned Pecan Sandies Recipe - these cookies are slightly sweet and rich from the figs. The pecans add the perfect amount of crunch in these delicious cookies. Add the pecans and figs - mix again by hand. Bake in the preheated oven for 8-10 minutes or until golden brown. and sweet that is the best way to describe this morning latte. 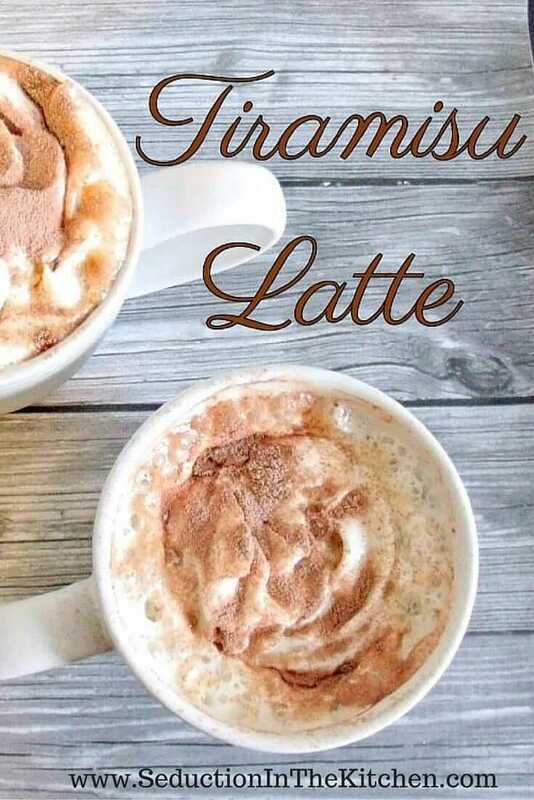 It is tiramisu meets a latte! Maple Pecan Sandies Cookies – Restless Chipolte – are easy to make and they literally melt in your mouth. Pecan sandies with a dust of autumn flavor. 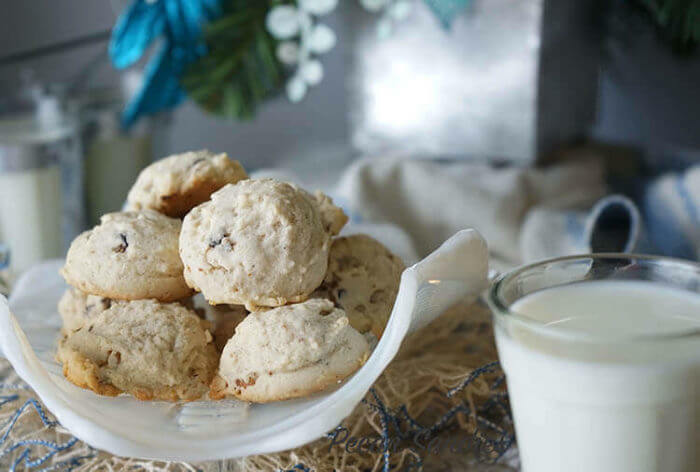 Pecan Sandies – Chowhound – these cute, buttery cookies are full of toasted pecans. 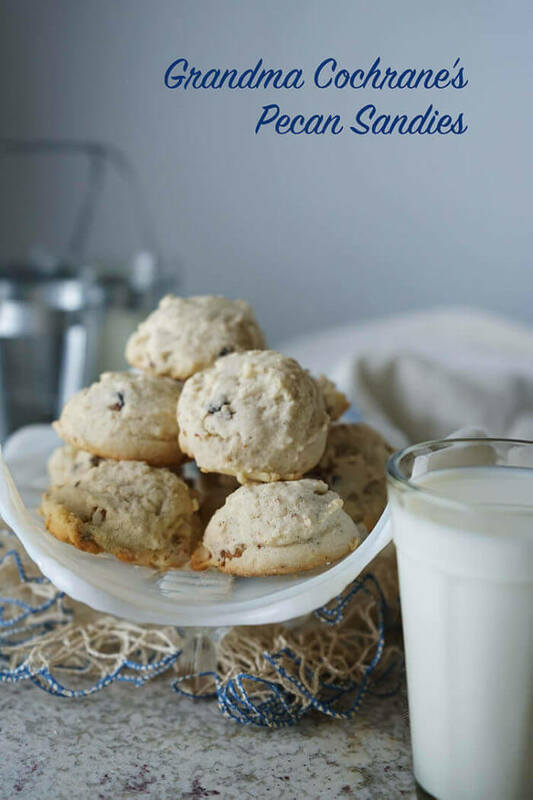 This Homemade Pecan Sandies Recipe has been in our family for generations! These cookies are slightly sweet and rich with the perfect amount of crunch! Pecan Sandies were my very favorite cookie before going gluten-free. I can’t think of a better consolation for not being able to hike half-dome. Hopefully, you will be able to try again soon. I know right? And being in the kitchen with Mom made it super fun too, families are the BEST!! Grandma’s cookies are ALWAYS the best!! Thanks Liza!!! Its so much better to make the Pecan Sandies at home, right? These look so good and I have to make them soon. Yes, yes! So yummy, I know you’ll enjoy them! I’m so sorry the hike didn’t work out. I’ve seen so many scary photos and videos of the fires. This recipe though, i’ll take a couple dozen! There is nothing better then a grandmas cookie! Grandma’s cookies are the BEST and making them with my Mom made them even better – thanks Angela! 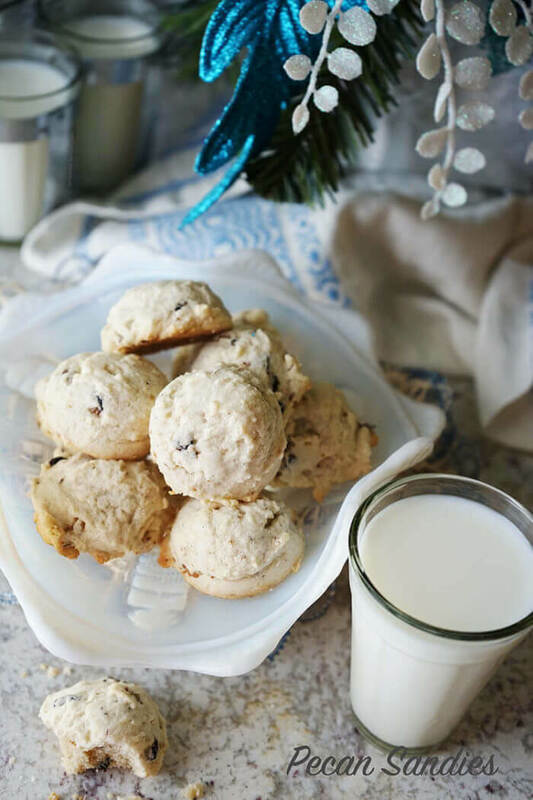 Pecan sandies are a favorite in our family and we are looking forward to giving these a run in the cookie jar, although I don’t expect them to stick around for long. Great looking family recipe here, thanks so much for passing it along. I hope they really enjoy them Dan, thank you! We just love these cookies!! The best recipes are from family and they sure bring fond memories with them! A couple of these cookies with a cup of tea sounds perfect right now. Ooh, i love Pecan Sandies—but i’ve somehow never made them! I’ve gotta try your recipe. Please do Justine, enjoy! and thank you so much for stopping by!!! These cookies look delicious, I love that they’re a variation of your Grandma’s recipe. My Grandma was also a great baker and I love making her recipes, too! That’s awesome Lisa, making family recipes evokes great memories and helps me connect with loved ones. I hope you have great feelings when you’re busy cooking too! Pecan Sandies were always my Dad’s favorite. I will have to make him some! Tried and tested these are Grandma approved, I know your Pop will love them! My grandma never made pecan sandies because she made cakes but she always bought them from the local bakery because she knew everyone in the family liked them. That bakery is no longer open so I am going to give this a shot! Family memories are just the best, thanks for sharing Jennifer and enjoy those cookies!! I’m sorry you didn’t get to go on the hike, but your cookies look yummy! I love pecan sandies, they are one of my favorite cookies! I can’t wait to try making them at home! I do too and these are so good, enjoy Madi!